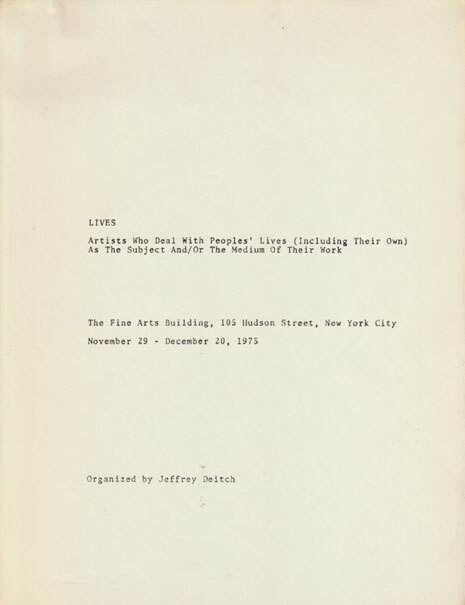 In the do-it-yourself spirit of the early ’70s, the ambitious Deitch produced a photocopy catalog for the exhibition. 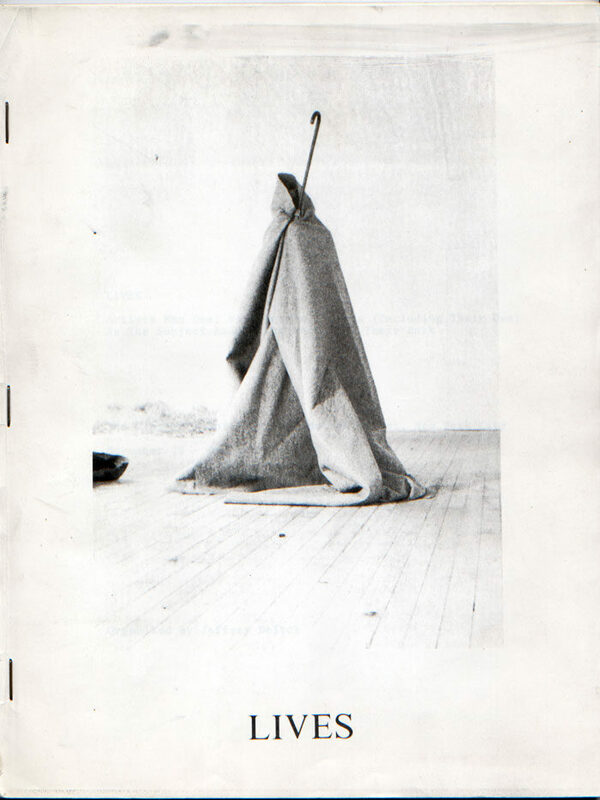 His highly readable and insightful text was supplemented with pages created by the artists in the show: Laurie Anderson, Chris Burden, Gilbert & George, Ray Johnson, On Kawara, Adrian Piper, William Wegman, Hannah Wilke, and many others. 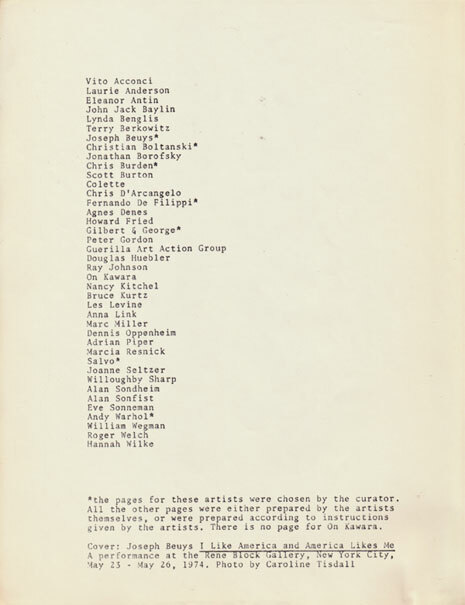 The publication—copied, collated, and stapled—was distributed to each of the artists. It’s not known exactly how many copies of this hand-made Xerox catalog were made, but it is likely that there were fewer than 100. Few have ever surfaced for sale.